We believe in practical, efficient solutions that are easy to use, safe and comfortable. And therefore, we created REVERSE 5; reversible harness that is a great companion for your Vol Bivouac flights, Hike and Fly or travelling which will be easy because the harness easily changes into a comfortable backpack. 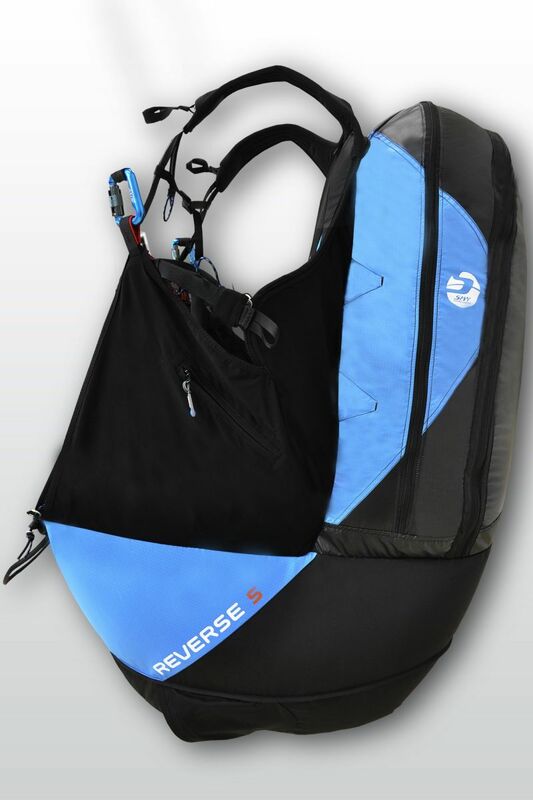 REVERSE 5 is a new EN/LTF certified reversible harness that brings unique technical solutions and a new level of comfort both for flying and carrying the backpack with your gear. 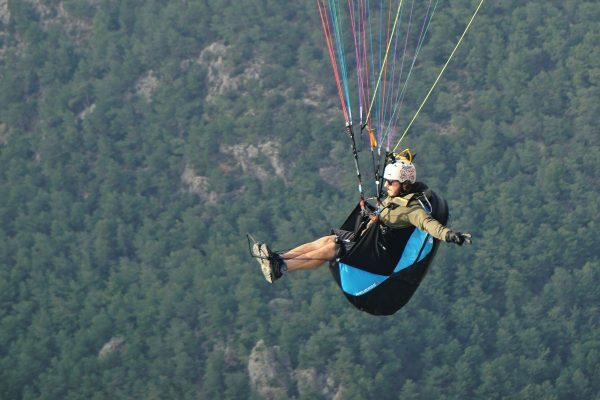 It is best suited for the pilots on the move, no matter if it is your Vol Bivouac flight, Hike and Flight or just regular flight at your favourite take-off. Why do pilots like REVERSE 5? 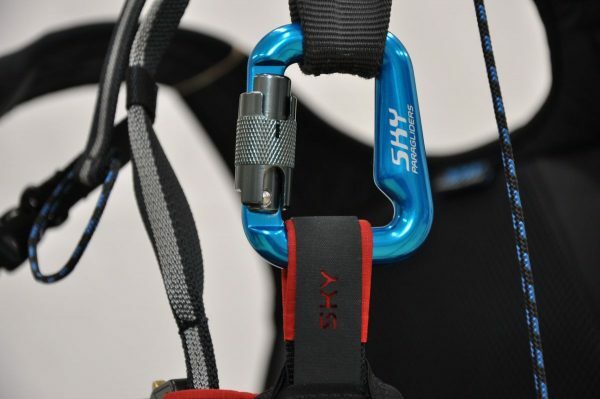 It is easy to reverse and takes only a second to modify the harness into a comfortable backpack. 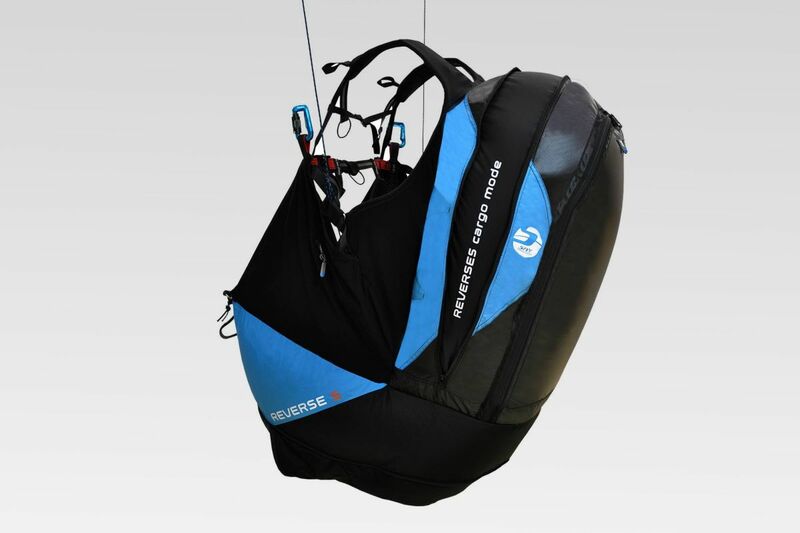 The airbag is efficient and thanks to the nylon reinforcements, it is pre-inflated even when taking-off. 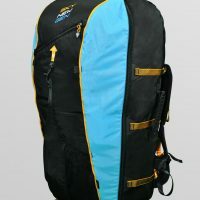 It is light only 2.95 kg in M size (carbon board, carabiners and speed bar included). 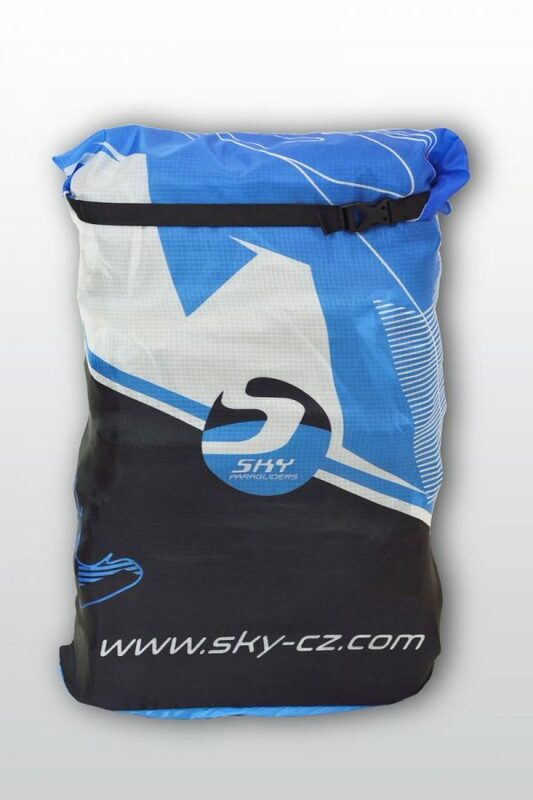 Just take your KEA 2 (2.95 kg in M size) and SKY LITE L reserve (1.2 kg), and you get the full set with 7.1 kilograms! 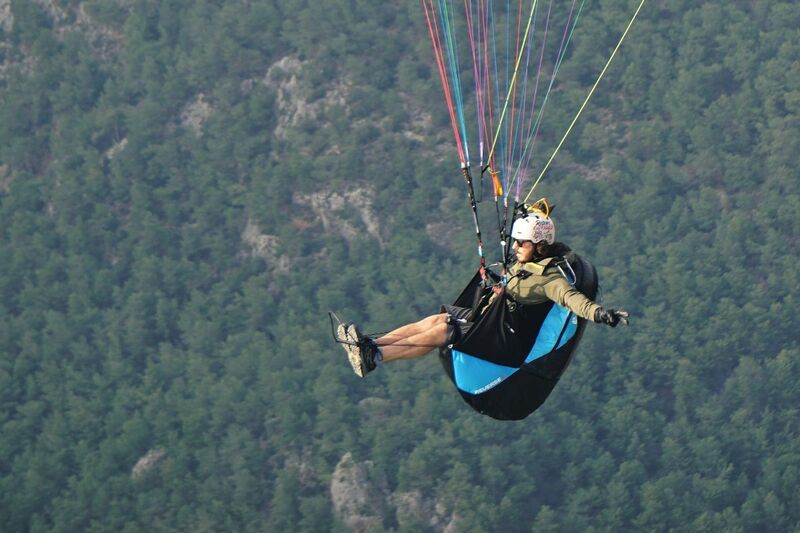 Sitting into the harness after the take-off is easy and comfortable. 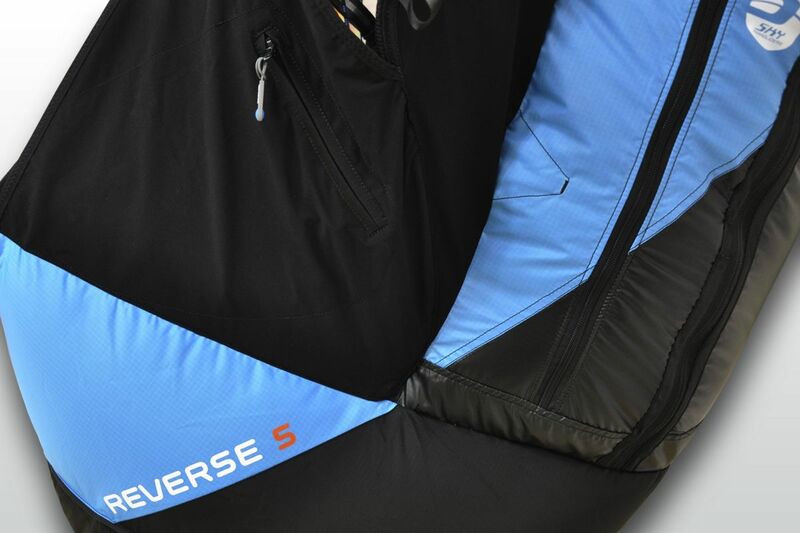 REVERSE 5 is supplied in S, M, L and XL sizes, please check the recommended size table. 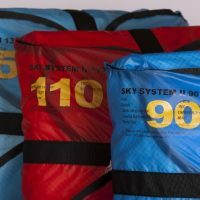 Choosing the correct size of the harness is crucial to offer the best comfort of the harness to the pilot; therefore, it is highly recommended to try the harness first before you buy. Please contact your dealer for advice. 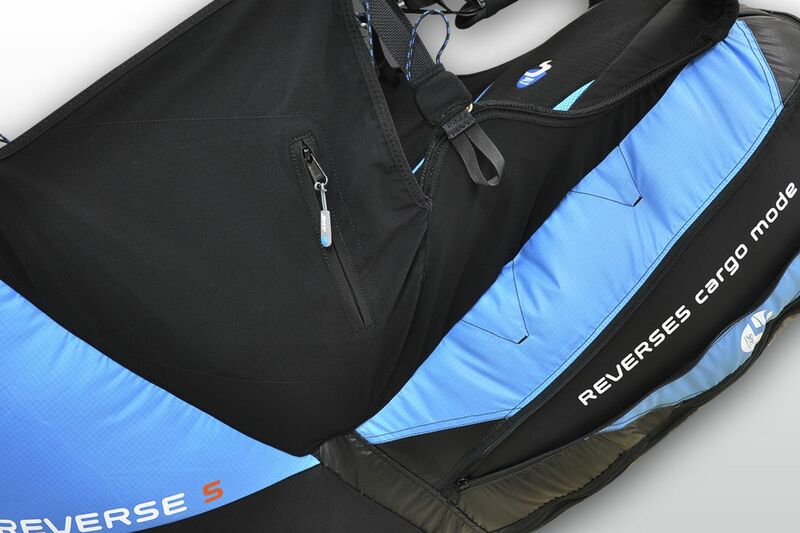 Large side pockets that are easy to reach during the flight. Carbon seat board for smooth and comfortable weight shifting. Large back pocket to accommodate all you need for your everyday flying. 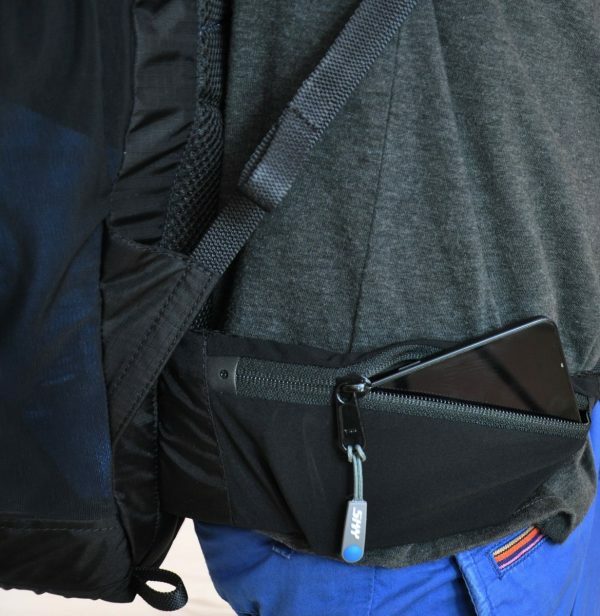 The back pocket can be enlarged into a CARGO MODE to provide more space so much required for your Vol Bivouac flight. Big reserve container to accommodate larger reserve chutes. ABS (Anti Balancing System) for safety and comfort at flight. Highly efficient LTF certified airbag. 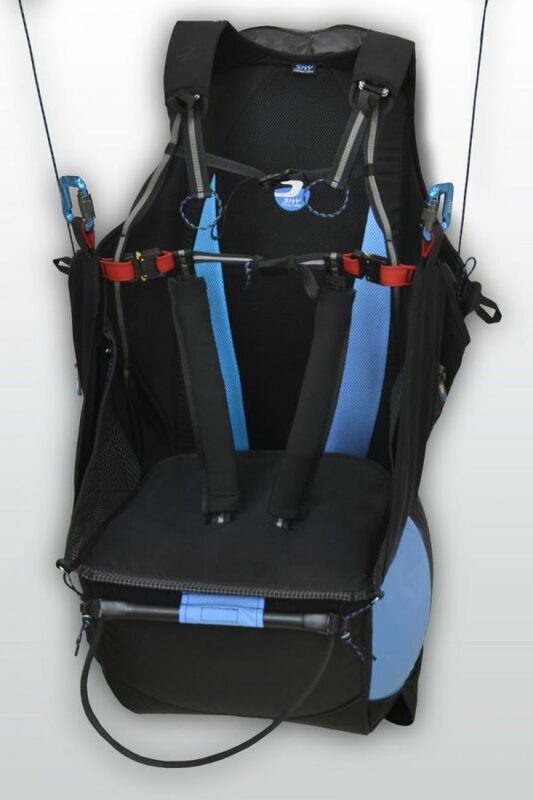 Nylon rods to pre-inflate the airbag and provide maximum safety should anything go wrong during taking-off. 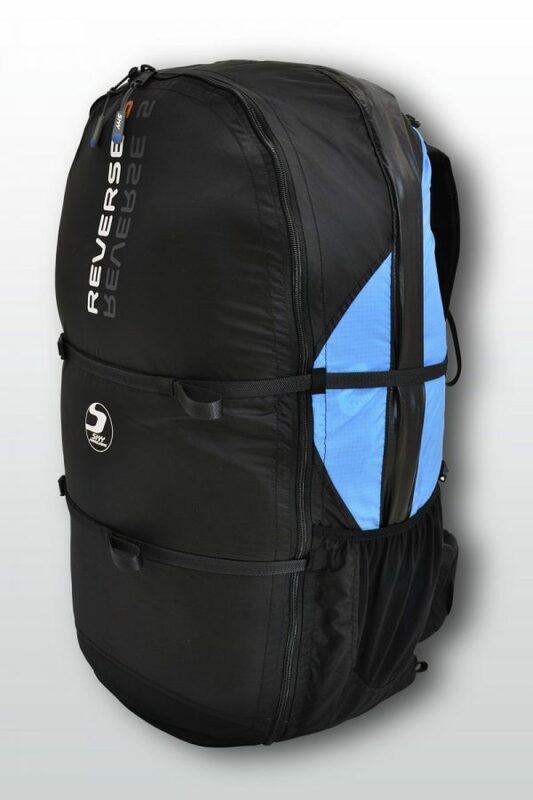 Backpack part is large enough to fit in a standard size glider, helmet and all the usual gear. However, you can expand its volume significantly using REVERSE 5 Cargo Mode. 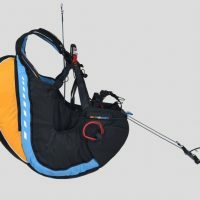 It can be used both, in backpack and harness modes. You will appreciate this feature when you need to pack in more things than usual. 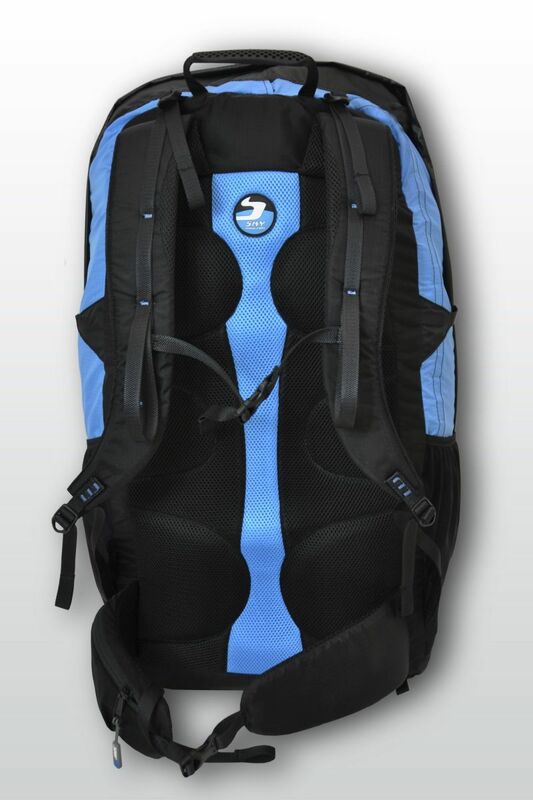 Ergonomically shaped and padded back part is air vented. 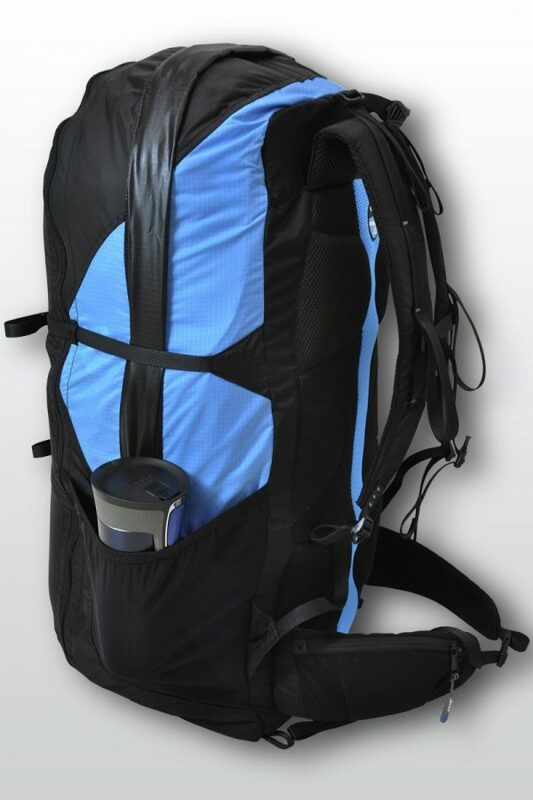 Four compression straps to keep the volume of the rucksack low. Two full and deep, practical lateral mesh pockets can hold a smaller size camel bag. There is a zip up pocket in the padded waist strap; it is the right place to keep all your small items safe in one place. 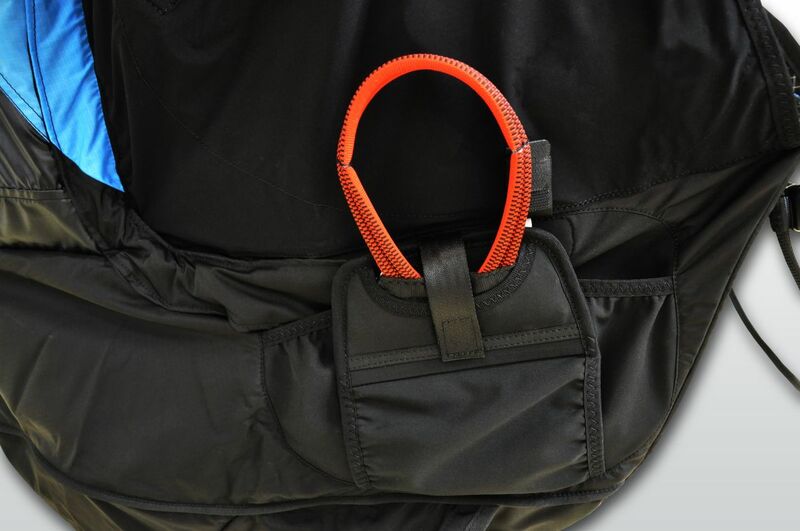 Ergonomic shoulder straps are held in place by a chest strap. Sky Paragliders 30 mm twist lock carabiners. Service kit – to help you to close the reserve container. 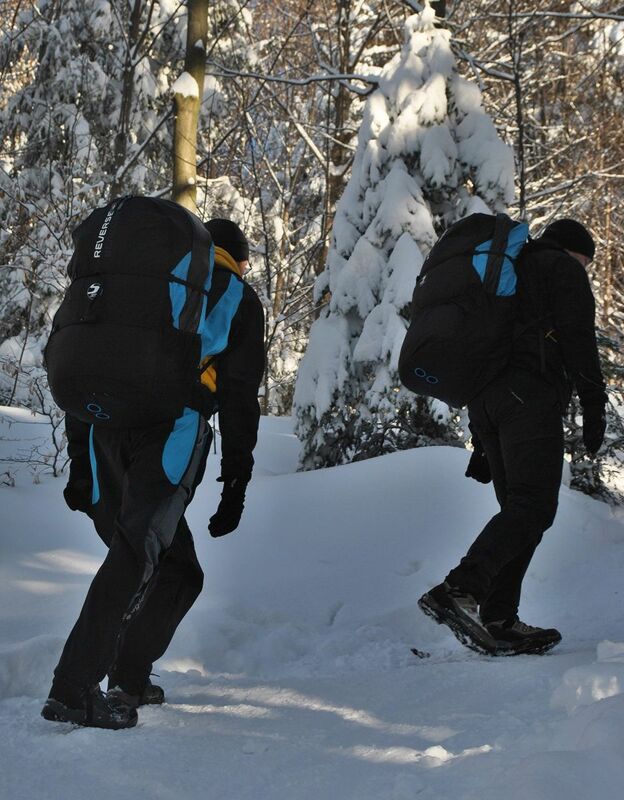 * Total weight including speed system and main carabines.